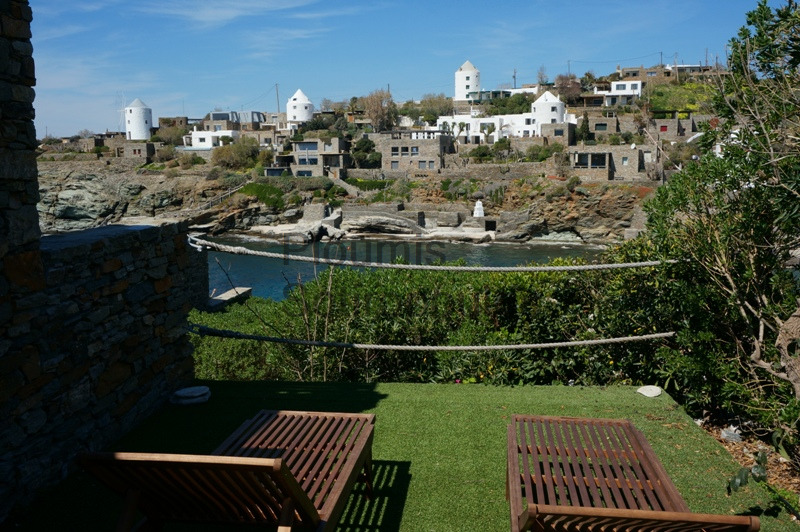 This charming stone property of 99m² is set directly above the water and has steps leading to the sea for swimming. 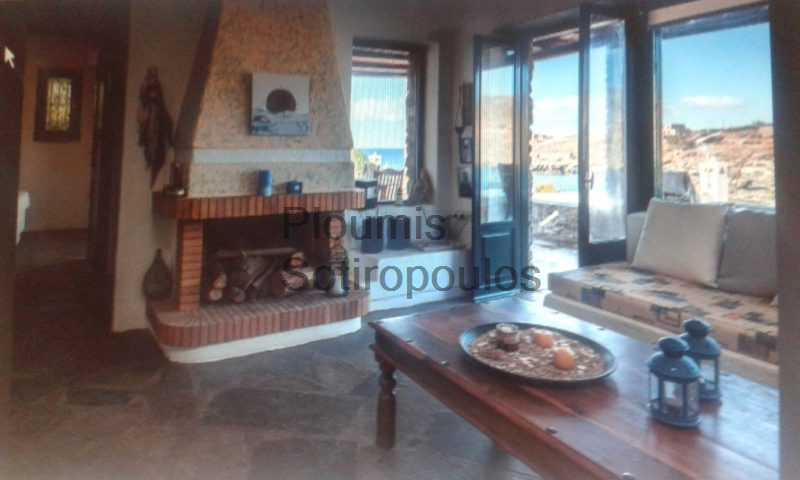 The house features a reception space including a living room with fireplace and an open-plan kitchen with windows enjoying unobstructed views to the sea. On the same level is a bedroom with its own bathroom. The lower level has a private entrance and features a living room which can easily be used as a bedroom, one more bedroom, a bathroom and a kitchenette. 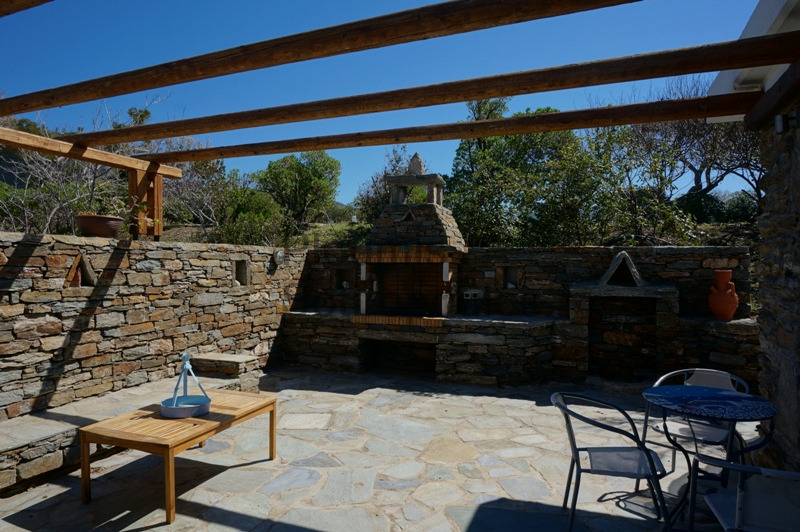 The outdoor terraces on both levels, the stone-built barbeque, and the pergola-shaded sitting and dining areas all blend nicely into the natural surroundings. 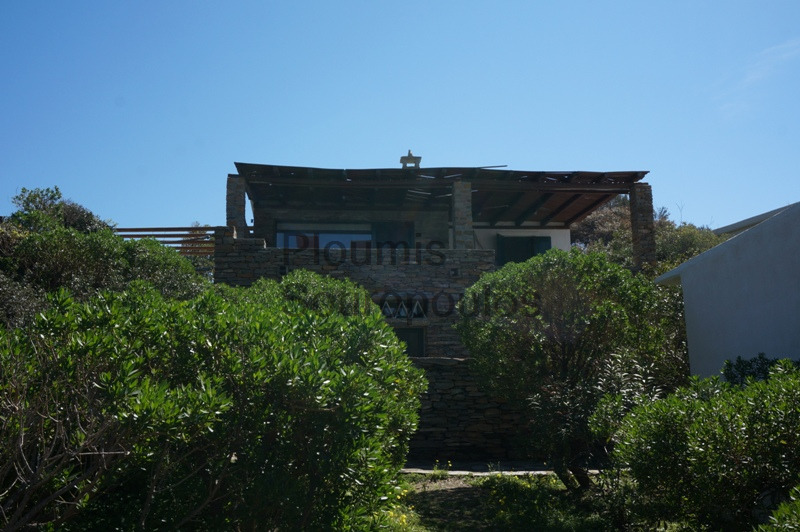 A garden of 248m² with Mediterranean flora, rocky outcroppings and a stunning view to the windmills provides a beautiful setting for the house. 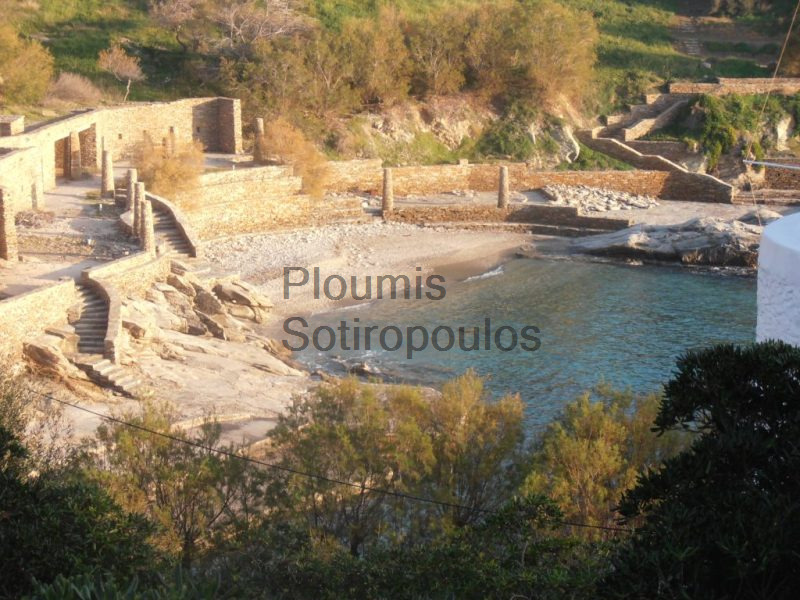 Only 19 kilometers from the port of Korissia, this exceptional property combines the traditional building materials of the island, tranquil surroundings, majestic views, and direct access to the sea for swimming or access to a boat tender. 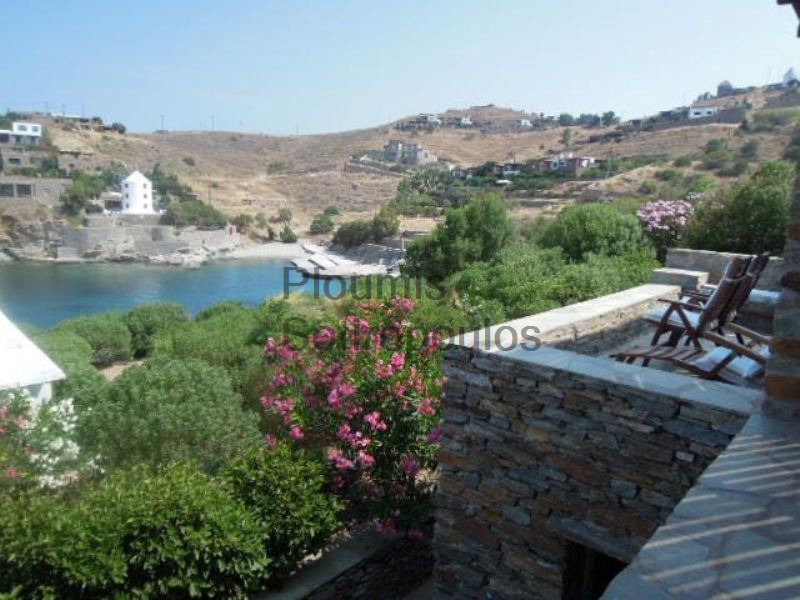 It is only a short distance from the cosmopolitan beaches of Koundouros.